Property / Street / Road: Bank Road Studio. Description/Historical Information: Family group portrait. 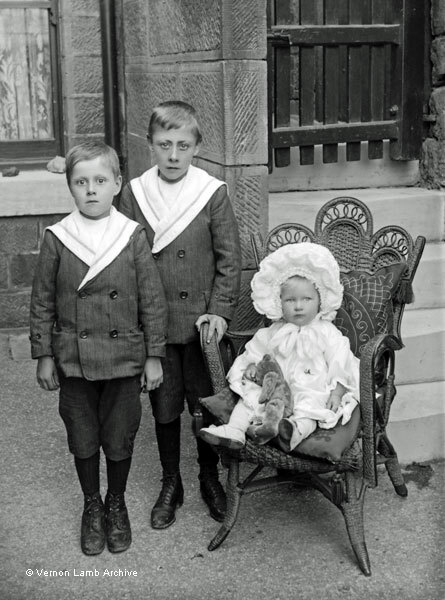 Two small boys, with baby sister sitting on ornate wicker child's chair. Outside back of house on Bank Road.